the many types of dead zones. 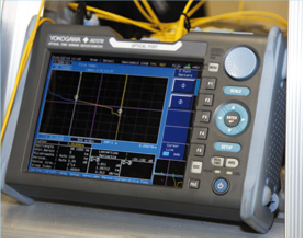 You will learn what an OTDR may tell you about different kinds of connectors, dirty connectors, good and bad splicings, bendings as well as shadows and “ghosts”. This course may be extended to four days, containing many more practical measurements. We will also analyse existing measurements (from your installations), and it will be possible to measure on real installations.